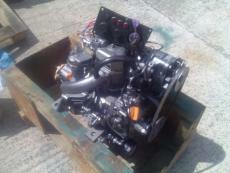 Yanmar 1GM10 8hp Marine Diesel Engine Complete With Panel, Loom & Gearbox. Removed in good running order and a good starter from cold. Removed to be swapped for a larger 2GM Yanmar for more power. Ideal for a small yacht or launch and fairly hard to find on the used engine market in good working order.